Safari Tours - Your Costa Rica Adventure Awaits! 3-5 hour tour; Lunch and all equipment included. 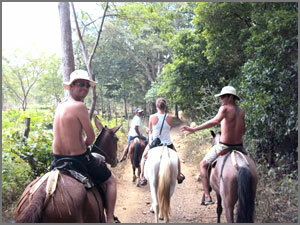 The FishingNosara Horseback Safari tour is truely a once-in-a-lifetime experience. Your group will ascend the mountain and visit an authentic Costa Rican farmstead for lunch and a tour. Then continue up the mountain to a secret waterfall known to our local guide. The horses are well-tempered and suited to riders from novice to pro. 3-5 hour tour; All equipment included. Single and Tandem Kayak availible. Unlock the hidden Costa Rica! 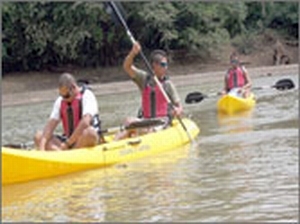 The FishingNosara Kayak Safari tour allows your party to explore the untapped beauty of Costa Rica's rivers. See exotic wildlife and fish for the crafty Snook and Mangrove Snappers at the river's mouth. 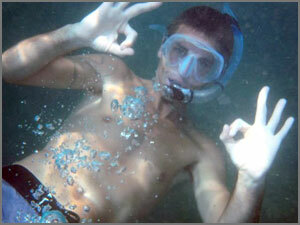 Our expert local guides ensure a safe, educational, and fun experience for all! 3-5 hour tour; All equipment included. Observe beautiful natural coral formations, out-croppings, and reefs as well as turtles and the entire spectrum of reef fish. The crystal clear waters of San Juanillo Bay create the perfect backdrop for exploring coral reefs, sea life, and all of the natural beauty of the undersea world. Beginners are welcome and no experience necessary. Instructions and all equipment are provided. 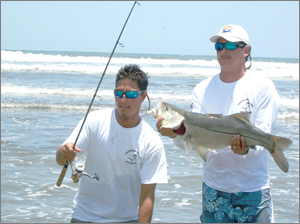 The Fishing Safari tour leads your party to the beaches and river mouths in search of rod-bending action. Fight confidently with the same high-quality tackle as the legendary FishingNosara team. Our expert local guides deliver a fun experience for all anglers novice to pro! The Eco Safari tour brings your party face-to-face with Costa Rica's incredible natural beauty. 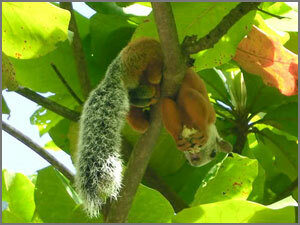 See monkeys, iguanas, pizotes, and tropical birds in their natural surroundings. Explore the multitude of waterfalls, rivers and mountain ranges. At Playa Carmonal you can see a natural coral formation that resembles the crucifix and is believed to hold special powers to watch over the local fisherman. Our local guides can customize this tour for whatever facet of nature you find most appealing. The Cycle of Life takes Center Stage! Ostinal is one of the few places in the world that you can see this unbelievable turtle nesting event. The Arrividad (Arrival) occurs on the New Moon when thousands of sea turtles come ashore to lay their eggs. On the following full moon, the Regresso (Return) begins and the little baby turtles make a mad dash to the ocean. Due to human interferance abroad, Playa Ostinal is one of only 6 places on Earth you can see this ancient ritual. You will never forget this experience! Amazing Waves and No one out! Surf La Tranca one of the best and most consistent outer-reefs in Nosara. 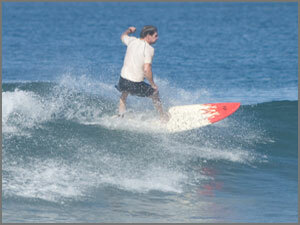 Surf with your friends on a perfect right-hand wave or surf nearby alternate spots that break right or left. The main reef at La Tranca breaks right and has a very gentle take off merging into a very hollow and fast inside section. The main wave needs to be mid to high tide and swell to be at least 4 feet and up, but Little La Tranca breaks both right and left depending on swell direction, tide, and wind. It is a shorter wave than Big La Tranca but faster and hollower. Both La Tranca's breaks on a wide range of swell directions from 180 to 240 degrees. Also you can, surf a variety of breaks depending on swell direction, tide, and wind. Most of these breaks you will be surfing with just you and your friends for the session of a lifetime. 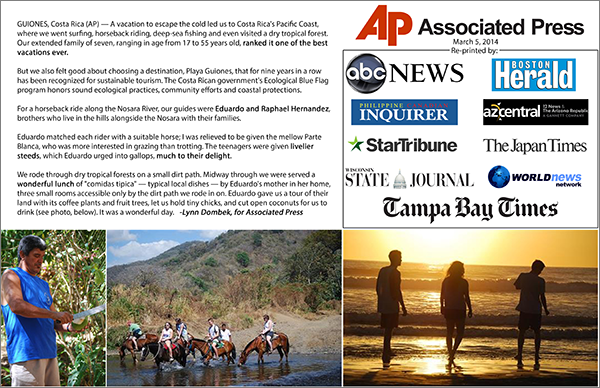 Available breaks: Playa Bahia, Playa Baragona, Playa Buena vista, Playa Carmonal, La Tranca's, and Coyote Point (Full day required for Coyote Point). With the right conditions these breaks are world-class. Copyright © Nosara Paradise Rentals. All Rights Reserved.